Join our Squad and take part in community-based training classes that will improve your confidence, fitness and fighting skill. No Belts. No Egos. No BS. Only Real World, Practical & Efficient Self-Defense Training. Or have a general question? Please use the form below. We'll let you know when we've received Your message and follow-up with you soon. LEARN MORE ABOUT CLASS OFFERINGS BELOW. And DON'T FORGET ABOUT YOUR FREE CLASS. Elbow, knee, front kick, eye gouge, palm strike, control and submit your adversaries. Not for sport or competition. Real world, practical, efficient and effective self defense training only. Car keys, tactical pens, improvised weapons, blades and sticks. Modern weapon training to become a force multiplier and enhance your self defense skills and capabilities. Ladies unite and stand strong as you learn the fundamentals of self defense, gender based violence and predator psychology. Find your voice, get empowered and learn to fight back. Resist bullies, learn practical self defense, build confidence, improve awareness and manage personal space. Mindset and mentality is key. We coach thinkers, not fighters. Reality Based Self-Defense Classes. Effective real world self-defense not only includes the ability to avoid, deescalate and prevent violent interactions, but it must also include the ability to physically fight back and defend yourself against threatening people and situations. Our Self-defense classes and professional instructors will provide you with this full spectrum of reality-based self-defense in our weekly training classes. We offer a Foundations Program, Level 1 Classes, Level 2 Classes and Specialty Workshops & Seminars. The Four Key Training Areas. We have identified four key areas of self-defense and combative martial arts that are essential for you to most effectively and efficiently defend yourself and protect your loved ones. You don't have to be a master in each area but you must be prepared and capable no matter where a fight may end up. The more well rounded you become in these key areas, the more effective and capable you will become. Down and dirty self-defense tactics that will allow you to prevent, manage and survive force related encounters. This isn't cardio kickboxing. Learn to fight and survive on your feet with kicks, knees, elbows, punches and standing clinch tactics. Fights can end up on the ground. Best to know how to fight there. Learn to control, submit and subdue in grappling situations. This isn't cage fighting. Learn to fight and survive in all areas of martial arts. Standing, on the ground, in the clinch and against walls. Classes For All Levels. We offer three different class levels for our members and students. Our Foundations Classes and Level 1 Classes are for new members, beginners, and advanced students looking to master the basics of self-defense and combative arts. Our Level 2 Classes are for intermediate to advanced students and focus on more complex and aggressive aspects of street defense and combative arts. If you are new and would like to try a class for free please take advantage of our Risk Free Trial Class. 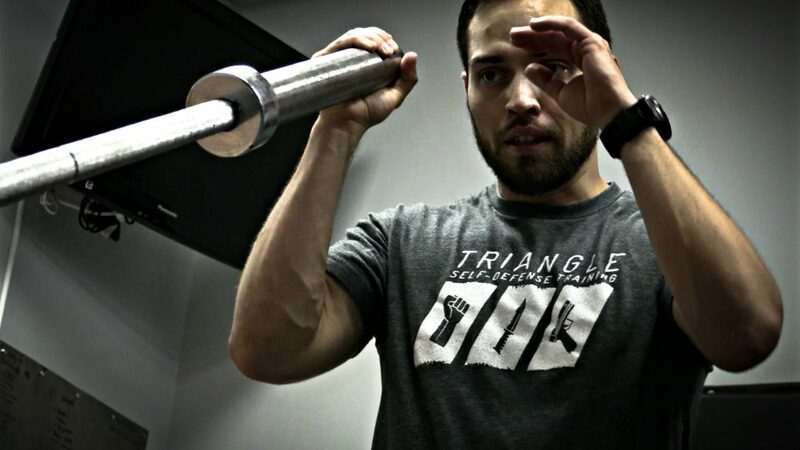 Our Foundations Classes will take you from a complete beginner to a capable badass. We will teach you how to be more aware, better prepared and ready to defend yourself and those you love! For beginners, new students and members looking to master the basics. Our Level 1 Classes give you the opportunity train in specific areas of self-defense that interests you most! Our Level 2 Classes are for experienced members. These classes will explore more advanced tactics and principles. Level 2 Members will be well trained, very prepared and highly capable! Foundations Program. Our Foundations Program are designed for beginners and new members. Our Foundations Program will teach you the most important self-defense principles, techniques and tactics needed to unleash your inner badass while developing legit self-defense skills and fighting ability. The Foundations Program is designed to teach you about situational awareness, pre-crime indicators, criminal psychology, situational awareness and foundational self-defense techniques that work both on the ground and on your feet. Members participating in the Foundations Program will also have access to all Level 1 Classes on the schedule. CLICK HERE For A Free Foundations Class! Level 1 Classes. Our Level 1 classes are also for beginners, new members and advanced students who want to focus on mastering the fundamentals. For those who would like to focus on a specific area of self-defense, we offer martial-art-specific Level 1 classes in four key training areas: Combatives, Kickboxing, Ground Fighting & MMA (Mixed Martial Arts). New members taking Level 1 Classes also have access to all Foundations Classes on the schedule. CLICK HERE For A Free Level 1 Class! Level 2 Classes. Our Level 2 classes are for intermediate and advanced members. Level 2 members have full access to the weekly class schedule, including all Foundations Classes, Level 1 Classes, Level 2 Classes, and Force-On-Force Classes. Unless you have completed the 12 Week Foundations Program, Completed Level 1 Skills Tests, or have been approved by an instructor, keep attending the Level 1 Classes and Foundations Classes to continue learning and training so you can level up! Modern Reality-Based Weapon Classes. No ninja stars, nunchucks, bo-staffs or any other impractical martial arts weaponry. We only focus on teaching practical defensive and offensive tactics for modern day weapons that are carried and used by both self-defense minded citizens and violent criminals. Our Weapons classes and professional instructors will not only provide you with the skills, knowledge and ability to defend against modern weapon attacks, but also teach you offensive strategies and tactics to improve your self-defense capabilities. We offer a Foundations Program, Level 1 Beginner Classes, Level 2 Advanced Classes and Specialty Seminars. The Three Key Training Areas. We have identified three key areas of modern weapon training that are essential for you to most effectively and efficiently defend yourself and protect your loved ones. One key concept with our weapons program is the utilization of modern weapons to create a force multiplier. As most attackers will be bigger, stronger and more violent than you, it is important that you know how to employ modern self-defense weapons to level the playing field and multiply your defensive capabilities. Self-defense isn't a sport and there are no rules. Violent criminals will use any means to get what they want. You will likely need more than just your arms and legs to stop a determined and violent aggressor. Many people carry knives. Few know how to use them. Even fewer know how to defend against them. We will teach you. The stick represents any hand-held, lengthy blunt force object used to actively defend yourself. Learn to create force multipliers. Learn to fight with tactical pens, tactical flashlights, car keys and other self-defense tools. Generate impact to defend yourself. Foundations Program. We proudly offer a comprehensive 12 Week Self-Defense Foundations Program. This dynamic 12 Week Foundations Program will teach you the most important self-defense principles, techniques and tactics needed to unleash your inner badass while developing legit self-defense skills and fighting ability. Members participating in the 12 Week Foundations Program will also have access to all Level 1 Classes on the schedule. CLICK HERE For A Free Foundations Class! Level 1 Classes. Our Level 1 classes are also for beginners and new members. For those not interested in going through the 12 Week Foundations Program we offer martial art specific classes in four key training areas: Combatives, Kickboxing, Grappling, MMA. Complete the Level 1 Skills Test in any of the key training areas to advance and unlock the Level 2 Class for that specific class. Complete the Level 1 Skills Test in all four key training areas to unlock access to our Force-On-Force classes. New members taking Level 1 Classes also have access to all Foundations Level Classes on the schedule. CLICK HERE For A Free Level 1 Class! Ladies Only Classes are offered weekly. Click the buttons above for more information. Women’s Empowerment Training. Effective real world self-defense not only includes the ability to avoid, deescalate and prevent violent interactions, but it must also include the ability to physically fight back and defend yourself against threatening people and situations. Our Self-defense classes and professional instructors will provide you with this full spectrum of reality-based self-defense in our weekly training classes. We offer a Foundations Program, Level 1 Classes, Level 2 Classes and Specialty Workshops & Seminars. Self-Defense & Empowerment Training. Our Women Only Program includes all the material from our traditional Self-Defense Foundations curriculum, with a specific emphasis on the types of violence and criminal acts that are particular to the female experience. These classes are taught by Instructor Jayd and focus on providing a supportive, educational and empowering training environment. Youth Classes are offered weekly. Click the buttons above for more information. We Offer Monthly Memberships & Punch Cards. We Have Level 1 Classes & Foundations Class For Beginners. ARE CHILDREN ALLOWED IN THE CLASSES? For Those Under Age 17 We Offer A Youth Program. The Youth Program is offered twice weekly. Classes other than "Youth Self-Defense" are for Adults Age +17yrs old. However, we will make exceptions for teenagers +15yrs old that are approved by an instructor or have a prior background in Wrestling, Competitive Sports or Martial Arts. WHAT'S THE DIFFERENCE BETWEEN FOUNDATIONS AND LEVEL 1 CLASSES? FOUNDATIONS CLASSES. 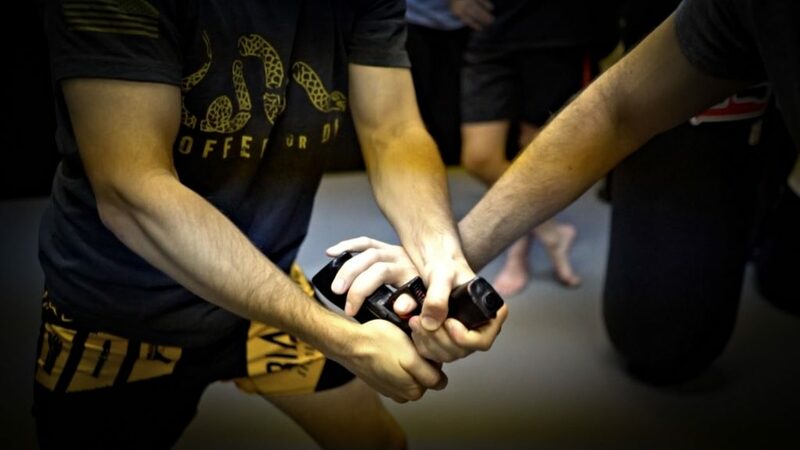 Foundations Classes are designed to give you baseline skills in all areas of self-defense and combative martial arts. You will learn a wide array of self-defense topics, techniques and principles. The Foundations Curriculum includes, but is not limited to, mindset and awareness training, foundational self-defense techniques and tactics, footwork and haymaker defense, modern weapon defense/offense, and hand to hand self-defense tactics. Get your FREE FOUNDATIONS CLASS by clicking HERE. LEVEL 1 CLASSES. Level 1 Classes are entry-level beginner classes that focus on a specific area of self-defense and combative martial arts. Each Level 1 Class will focus on a specific training method and allow you to select the specific type of training area you are most interested in. Available Level 1 Classes are: Combatives, Grappling, Kickboxing, MMA and Weapons. Level 1 Classes allow you to focus on a specific areas you may need more work and practice on, or stay with a training area and style that resonates most with you. Get your FREE LEVEL 1 CLASS by clicking HERE. In 12 Weeks we will turn you from Complete Newbie to a legit Self-Defense Badass. You will become a more aware, better prepared and more dangerous version of yourself. Equipped and capable of not only defending yourself, but also those you love and care about. Our Foundations Program will not only teach you the mindset and mentality of self-defense, we will also teach you the physical techniques and tactics needed to effectively defend yourself. Try a Free Foundations Class or Sign Up now to join our Squad! Our Self-Defense Foundations Program was designed with the beginner new student in mind. Navigate your way through our 12-week Self Defense Foundations Program to find your inner badass and learn how to effectively defend yourself and those you care about. Graduate from the Foundations Program to unlock all Level 2 Classes and gain access to our Force-On-Force Specialty Classes. The 12 week Foundations Program will teach you the most important self-defense mindset principles that will mentally prepare you for a critical self-defense situation and provide you with legit skills to help you avoid and prevent self-defense situations. We feel that the best self-defense is no defense. Meaning, if you can avoid or prevent a situation from occurring entirely, that is the preferred approach or situation. These are some of the core self-defense principles you will learn in the Foundations Program: Awareness, Preparedness, Confidence, Voice, Pre-Assault Cue, Criminal Psychology and Self-Defense Mindset. The 12 week Foundations Program will teach you the most important self-defense techniques and tactics to physically prepare you for a critical self-defense situation and provide you with legit skills to help you resist violent criminals, fight off attackers and defend yourself no matter the circumstance! We respect all walks of life and teach our students to avoid and prevent violent interactions. However, if you or someone you love is imminently threatened it is critical that you know how to quickly and efficiently defend yourself and protect those you care about. These are some of the core combative self-defense areas you will learn in the Foundations Program: Military Combatives, Muay Thai, Brazilian Jiu Jitsu, Filipino Martial Arts, Kickboxing, MMA and Submission Fighting.